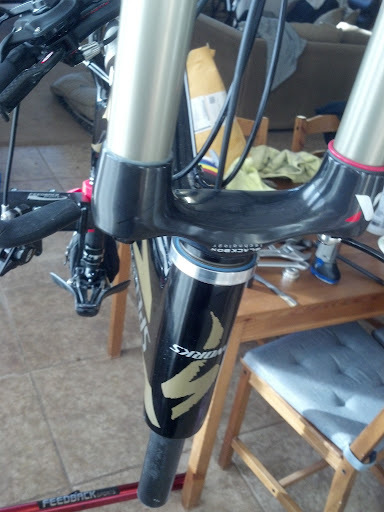 DIY Headtube Modding: 1-1/8" to Tapered Conversion - Part 1 | HuckingKitty! 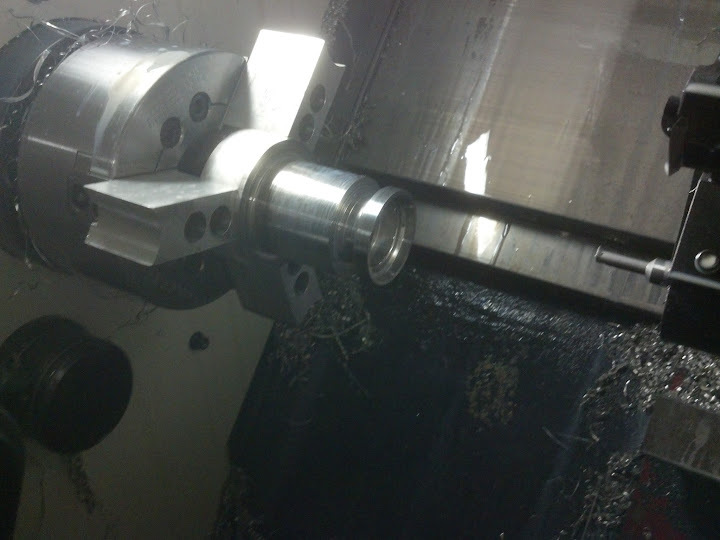 Installed the IS52mm lower head bearing. 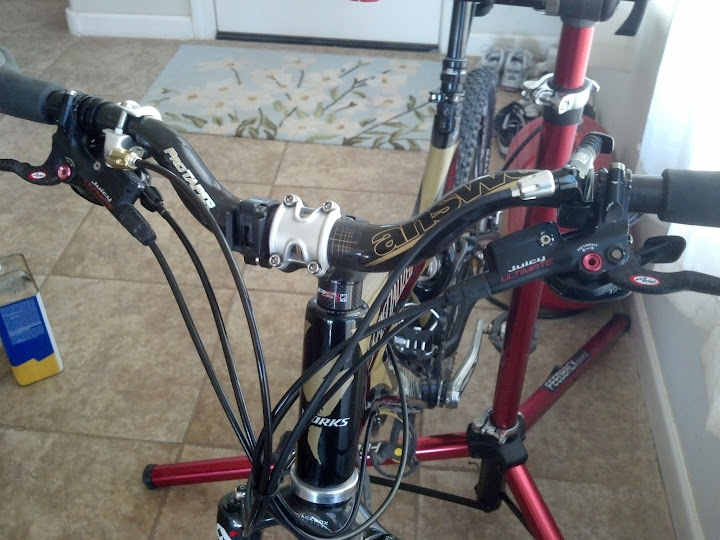 Everything pressed in correctly with a 0.1mm interference fit, per Cane Creek specs. .....sitting around waiting for everything to set then going to test fit everything and see how it holds up. 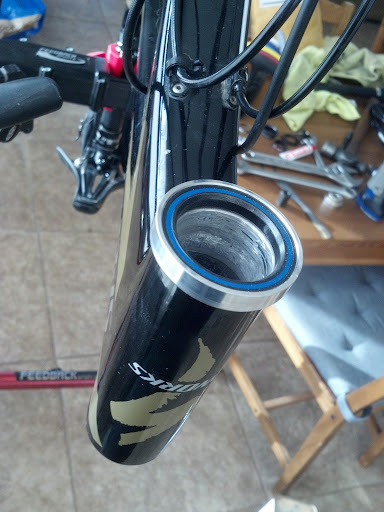 The JB Weld has set nicely - had to grind out a little of the excess glue bead that formed inside the head tube. 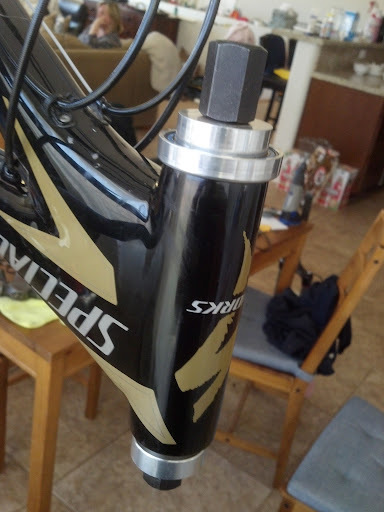 The clearances are very very tight (I only left 0.2-0.5mm room for the steerer tube to clear). 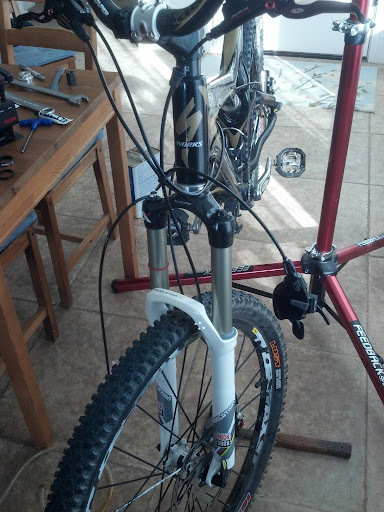 Putting everything together... looks like I need a longer hose for the front brake (longer travel fork). Found a longer hose in my spares. Woot!! All done! 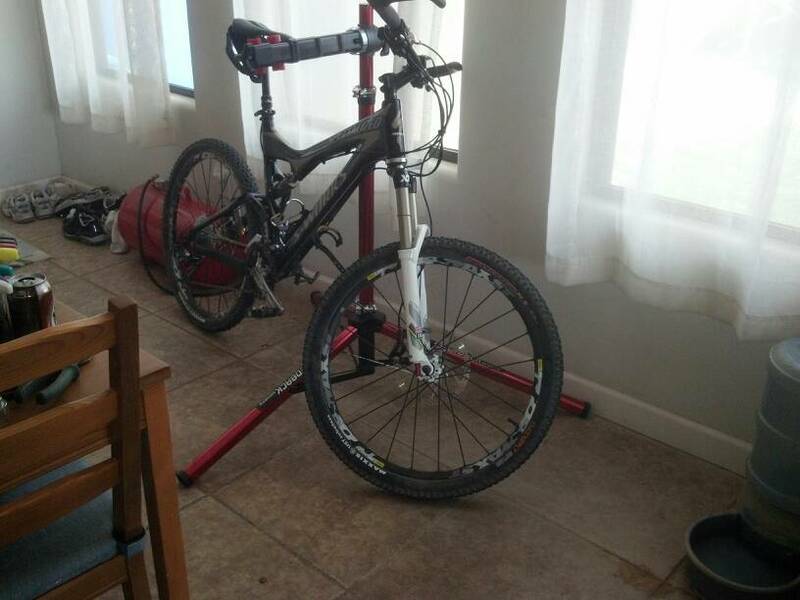 Probably try a test ride later if I feel better and stop coughing.